Effective Date: July 10, 2016. Welcome to the WedBrilliant.com website. The WedBrilliant.com website, and all content and functionality associated therewith (collectively, the “Service”), is an online venue that allows couples planning their weddings to connect with and receive bids from prospective wedding vendors. Register – Both couples and vendors must register with the Service – registering is free for couples, and vendors can elect to pay either a monthly or annual membership fee. For Couples – After registering with the Service, couples can post bid requests for their big events, and then accept vendor bids of their choosing. For Vendors – Once registered as a member, vendors can view couples’ bid requests and then submit proposals to provide or perform the various goods or services requested. What You Pay – Using WedBrilliant is completely free for couples. Vendors pay to use WedBrilliant, having the ability to elect either a monthly or annual membership fee. For more information regarding vendor membership options, click here. Your Conduct – Behave yourself! Both vendors and couples need to fully perform their obligations and responsibilities in connection with an accepted bid response. Also, we ask that you not violate any third party rights, impersonate others, troll, or do anything illegal. Otherwise, here’s to a brilliant wedding! Prior to using the Service, please carefully review the following Terms & Conditions (“Terms”), which are the legally binding terms for your use of the Service. YOUR USE OF THE SERVICE CONSTITUTES YOUR AGREEMENT TO THESE TERMS. PLEASE DO NOT USE THE SERVICE OR PROVIDE INFORMATION TO US IF YOU DO NOT AGREE TO THESE TERMS. Who We Are. The Service is owned by WedBrilliant, LLC, an Oregon limited liability company (“WedBrilliant,” “we,” “us,” “our”). Our mailing address is P.O. Box 91341, Portland, OR 97291, and our email address is info(at)wedbrilliant(dot)com. Service Features, Functionality and Availability; Termination. You may use the Service when and as available. Although we generally intend for the Service to be available on an uninterrupted basis, it will not always be available (e.g., during maintenance, changes, outages and for other reasons). We further reserve the right to change or eliminate and restrict or block access to all or any part of the Service, including any features or content displayed or made available through the Service, from time to time with or without notice to you, in our discretion. Registration and Your Use of the Service. (a) You may browse certain pages of the Service without first registering as a user (a “User”). However, for complete access to the Service (including, the ability to post bid requests and make responsive bids), you must register as a User. To register as a User, click here. (b) When you register as a User, you will be asked to choose a user name and/or password. You are solely responsible for maintaining the confidentiality and security of your user name and password and you further agree not to use the account, user name, or password of any other User or permit third parties to use your account, user name or password. Failure to comply with these requirements may result in the immediate termination of User account. You agree to promptly notify WedBrilliant if you suspect any unauthorized use of your User account, user name or password; however, you are solely responsible for any and all uses of your User account, and any transactions or fees resulting therefrom. User Disputes. The Service is a venue only. Because the Service is a venue, Users are solely responsible for their interactions with other Users, including without limitation, Users who are parties to an accepted bid response. While WedBrilliant has the right, but not the obligation, to monitor disputes between Users, WedBrilliant shall have no liability whatsoever with respect to such disputes. If there is a dispute between Users with respect to the Service, that dispute is solely between the respective Users and does not involve or implicate WedBrilliant and/or the Service and WedBrilliant shall have no liability with respect to such dispute. IF YOU HAVE A DISPUTE WITH ANOTHER USER OR IF YOU SUFFER ANY LOSS OR DAMAGE AS A RESULT OF THE ACTIVITIES OR CONDUCT OF ANOTHER USER, INCLUDING WITHOUT LIMITATION, A LEGAL CLAIM OR LAWSUIT (COLLECTIVELY, “DISPUTE(S)”), YOU HEREBY RELEASE AND FOREVER DISCHARGE WEDBRILLIANT AND ITS OFFICERS, DIRECTORS, VENDORS, AGENTS, SUBSIDIARIES, JOINT VENTURERS AND EMPLOYEES (COLLECTIVELY, THE “WEDBRILLIANT PARTIES”) FOR, FROM AND AGAINST ANY AND ALL CLAIMS (ACTUAL OR ALLEGED), DEMANDS AND DAMAGES (ACTUAL AND CONSEQUENTIAL) OF EVERY KIND AND NATURE, KNOWN AND UNKNOWN, ARISING OUT OF OR IN ANY WAY CONNECTED WITH SUCH DISPUTE AND HEREBY COVENANT NOT TO SUE OR OTHERWISE BRING ANY LEGAL ACTION WHATSOEVER AGAINST THE WEDBRILLIANT PARTIES ARISING FROM OR RELATED TO SUCH DISPUTE. One of the most important features of the Service is its compilation of Vendor reviews (“Reviews”). Our Reviews allow Couples to meaningfully consider each and every Bid Response they receive. If a Couple receives a Bid Response from a particular Vendor, the Couple is able see the Vendor’s WedBrilliant ranking and also review the Vendor’s Reviews. You must be registered as a User in order to submit a Review. However, as noted below, WedBrilliant does not review, investigate, perform due diligence on, or otherwise check the facts or veracity of Reviews or the parties submitting them. A Vendor’s Reviews may be the difference between whether a Couple accepts the Vendor’s Bid Response or not. Accordingly, each User submitting a Review to WedBrilliant hereby represents and warrants to WedBrilliant that: (i) the submitted Review is not fake or defamatory, or the result of a “trade” with another business; and (ii) the submitting party did not receive and will not receive in the future any compensation to write the review. (b) Contractual Nature of Bids. When a Couple posts a Bid Request through the Service, the Couple is offering each Vendor the opportunity to enter into a contract with the Couple. When a Vendor submits a Bid Response in response to a Bid Request and the Bid Response is thereafter accepted by the Couple, the acceptance of the Bid Request by the Couple creates a legally binding contract between the Couple and the Vendor (“Contract”). It is important to remember, however, that because WedBrilliant acts as a venue only, WedBrilliant is not a party to the Contract between the Couple and the Vendor; instead, the sole parties to the Contract are the Couple and the Vendor. Reviews, Bid Requests and Bid Responses are posted by Couples, Vendors and other Users without participation, endorsement or investigation by WedBrilliant. WedBrilliant does not evaluate or investigate Reviews, Bid Requests or Bid Responses, or any information set forth therein, nor does WedBrilliant perform any due diligence or research on the submitting Couple, Vendor or other User, including without limitation, the identity of the Couple, Vendor or submitting User or the background or experience of such Couple, Vendor or submitting User. Accordingly, all Bid Requests, Bid Responses, and/or Reviews listed or posted on the Service are intended only to be indicative or illustrative. No information in a Bid Request, Bid Response or Review is intended to be a guarantee or warranty on the part of WedBrilliant and you agree not to rely on such information. We assume no liability for the use of or reliance on such information – it is your responsibility to undertake the necessary research and due diligence and/or have the proper knowledge and experience to evaluate a particular Review, Bid Request or Bid Response and/or the background or experience of a Couple or Vendor. As noted above, once registered as a User, Couples may submit a Bid Request through the Service. Each Bid Request posted through the Service shall consist of: (i) the category for which the Bid Request relates (i.e., floral, invitation, wedding cake, etc. ); (ii) a description of the material requirements for the Event; (iii) the Couple’s budget for the Bid Request; and (iv) the date of the Event. The Service will send Couples an email confirming the submission of the Bid Request; however, Couples should not act in reliance on a Bid Response until such time as the Couple actually accepts the Bid Response. Each Couple posting a Bid Request through the Service hereby represents and warrants to WedBrilliant that: (i) in posting the Bid Request, the Couple has a bona fide intent to obtain goods or services from a Vendor through the Service; (ii) the Couple has, to their knowledge, posted all material facts concerning the subject matter and scope of the Event; and (iii) that if the Couple accepts a Bid Response, the Couple will fully perform all of its obligations and responsibilities with respect to the Contract between the Couple and the Vendor, including without limitation, making full and complete payment to the relevant Vendor. When a Bid Response is accepted by the Couple, the responsible Vendor will be notified by WedBrilliant via email and WedBrilliant will release the Couple’s name and contact information to the Vendor. It is then the Vendor’s responsibility to initiate contact with the Couple. Thus, for all Events where a Bid Response is accepted, the Couple authorizes WedBrilliant to provide the Vendor the Couple’s name and contact information. Lastly, because WedBrilliant must communicate with each Couple regarding their use of the Service, including without limitation, the submission of Bid Requests and acceptance of Bid Responses, each Couple agrees to receive communications from WedBrilliant (whether electronic or otherwise) regarding the Couple’s respective use of the Service. Vendors who have registered with the Service can begin submitting Bid Responses immediately. Each Bid Response posted through the Service shall: (i) provide a summary of the goods/services being offered through the Bid Response; (ii) any additional terms proposed by the Vendor with respect to the Bid Response; and (iii) the price at which the Vendor is willing to provide goods or services with respect to the Event. The Service will send an email to the Vendor confirming the submission of the Bid Response. Each Vendor posting a Bid Response through the Service hereby represents and warrants to WedBrilliant that: (i) the Vendor has the qualifications, experience and ability to provide the goods or services set forth in the Bid Response on the terms set forth therein; (ii) in submitting a Bid Response, the submitting Vendor has a bona fide intent to enter into a Contract with the Couple posting the Bid Request; and (iii) if the Vendor’s Bid Request is accepted by a Couple, the Vendor will fully perform all of its obligations and responsibilities with respect to the Contract between the Couple and the Vendor. Where a Bid Response is accepted by a Couple (the Vendor will be informed of the acceptance or rejection of its Bid Response through an email generated by the Service), it is the Vendor’s responsibility to initiate contact with the Couple once the Couple’s name and contact information is released to the Vendor. However, WedBrilliant reserves the right to release the Vendor’s name and contact information to the Couple. Thus, for all Events, each Vendor authorizes WedBrilliant to: (i) provide the Couple the Vendor’s name and Bid Response information for Bid Responses generally; and (ii) in the event the Vendor’s Bid Response is accepted, the Vendor further authorizes WedBrilliant to provide the Couple the Vendor’s name and contact information, if deemed necessary by WedBrilliant. Lastly, because WedBrilliant must communicate with each Vendor regarding its use of the Service, including without limitation, the submission of Bid Responses and the acceptance or rejection of such Bid Responses, each Vendor agrees to receive communications from WedBrilliant (whether electronic or otherwise) regarding the Vendor’s respective use of the Service. 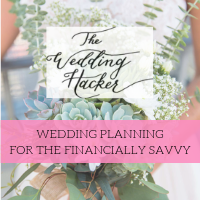 Only Vendors pay to use WedBrilliant. Vendors are charged a membership fee, either on a monthly or annual basis (“Membership Fee(s)”). Membership Fees are automatically charged using the payment information you provide as part of registering as a Vendor. You agree to keep your payment information up-to-date so that WedBrilliant can charge for Membership Fees when such Membership Fees are owed. You hereby authorize WedBrilliant to charge you the Membership Fees using your payment information, with the frequency of such charges to depend upon the membership option that you select (i.e., monthly versus annual). For a monthly membership, Membership Fees will be charged on the monthly anniversary date of when you initially joined. For an annual membership, Membership Fees will be charged on an annual basis prior to the upcoming annual membership term for which such Membership Fees are owed. You acknowledge and agree that such charges are automatic – WedBrilliant will not, and is not obligated to, inform you in advance of such charges or otherwise seek your prior approval of such charges. Membership Fees are not based on actual usage and Membership Fees paid to WedBrilliant are non-refundable. Accuracy of Our Information. From time to time there may be information on the Service, whether or not posted by WedBrilliant or by Users, that is outdated or contains errors, inaccuracies, or omissions (“Inaccuracies”). For any Inaccuracies on the part of WedBrilliant, we reserve the right to correct any such Inaccuracies at any time and we apologize for any inconvenience this may cause you. However, any and all Inaccuracies posted or otherwise transmitted through the Service by a User is the sole responsibility of the posting or transmitting User and is not the responsibility of WedBrilliant. (a) You retain ownership of any User Content posted or transmitted to or through the Service, but you must grant certain rights to WedBrilliant to use the User Content. Accordingly, you hereby grant to WedBrilliant and its designees, a royalty free, perpetual, worldwide, fully paid, nonexclusive, freely transferrable and freely sublicensable license and authority to: (i) use, edit, modify, prepare derivative works of, publicly perform, publicly display, post, transmit, download, transcode, playback, copy, reproduce, distribute, incorporate and otherwise fully exploit the User Content and all intellectual property rights associated therewith in connection with: (i) WedBrilliant’s maintenance, operation, and performance of the Service; (ii) the operation of WedBrilliant’s business; and (iii) WedBrilliant’s promotion, marketing and redistribution of the Service, or parts thereof, in any and all media formats and through any and all media channels. To the extent the license rights granted in this Section do not include moral rights or rights of attribution and integrity with respect to a User’s Publicity Rights or otherwise, each User hereby waives such rights to the maximum extent permitted by law and further waives any rights of preapproval, if any, in connection with such Publicity Rights or otherwise, but only with respect to WedBrilliant’s exercise of its license rights set forth in this Section. (b) You represent and warrant to WedBrilliant that: (i) you own the User Content which you post or transmit on or through the Service, or otherwise have the legal right to post or transmit such User Content on or through the Service; (ii) the User Content or the posting thereof to or through the Service does not violate the privacy rights, publicity rights, intellectual property rights, or any other proprietary rights of any third party; and (iii) you have the legal right and capacity to enter into these Terms in your jurisdiction. (c) All WedBrilliant Content featured on the Service is the property of WedBrilliant or its affiliates, licensors or suppliers and is protected by U.S. and international intellectual property laws. No WedBrilliant Content may be used, copied, distributed, republished, uploaded, posted or transmitted in any way except pursuant to the express provisions of these Terms, or with our prior written consent. All rights not expressly granted to you are reserved. Modification or use of WedBrilliant Content for any other purpose may violate WedBrilliant’s intellectual property rights, and no title to copies or to intellectual property rights in the WedBrilliant Content are transferred to you – all title and rights remain with us. Permission is granted to electronically copy and to print in hard copy portions of the Service for the sole purposes of: (i) obtaining a copy of these Terms and any other contract or disclosure that we are required to provide to you or that is part of our transaction with you; (ii) in connection with your internal, non-commercial use of the Service, subject to these Terms. Some WedBrilliant Content may also be subject to further terms and conditions provided in connection with the particular WedBrilliant Content and you agree to comply with any such further terms and conditions. Any use of the WedBrilliant Content other than as set forth in this Section may result in the immediate termination of your User privileges. (d) Any comments, feedback, suggestions, or ideas (“Feedback”) you provide through the Service may be used by WedBrilliant. While you may continue to own all such the Feedback, you hereby grant to WedBrilliant a non-exclusive, perpetual, irrevocable, royalty free, worldwide license to use, reproduce, disclose, sublicense, distribute, modify and otherwise exploit such Feedback. Infringement of Our Rights or the Rights of Others; Copyright Agent. You agree to respect the intellectual property rights of WedBrilliant and others. Anyone who believes that their work has been reproduced in a way that constitutes copyright infringement may provide a notice to our copyright agent – see Section 27. We reserve the right to terminate in appropriate circumstances any User account or right of access for infringement of third party intellectual property rights or other rights. Payments. WedBrilliant may provide certain paid or free services associated with the use of the Service, in its sole discretion. All fees charged by WedBrilliant may be modified or changed at any time in its sole discretion. When your use of the Service requires the payment of a fee, you will have the opportunity to review and accept the fees that you will be charged. If you do not agree to pay the fee, do not proceed with your transaction. Unless otherwise stated, all fees are quoted in U.S. Dollars. WedBrilliant does not offer refunds. You are responsible for paying all fees and applicable taxes associated with your use of the Service in a timely manner with a valid payment method. If your payment method fails or your account is past due, we may collect fees owed using other collection mechanisms. This includes charging other payment methods on file with us, or retaining collection agencies and legal counsel, in our discretion. No Commercial Use; Authorization. You may use the Service for your internal, non-commercial (except as otherwise set forth herein) use solely for lawful purposes in compliance with these Terms. If you are using the Service on behalf of any entity, you represent and warrant that you are authorized to accept these Terms on such entity’s behalf, and that such entity agrees to indemnify you and WedBrilliant for violations of these Terms, pursuant to Section 20 below. Your Conduct. You agree that you will not violate any law, breach any contract or other legal duty owed to a third party, infringe or misappropriate any intellectual property right, or commit any tort, in connection with your use of the Service. More particularly and/or in addition to, you agree not to: (i) access or attempt to access or tamper with any area of the Service that you are not authorized to access or otherwise attempt to probe, scan, or test the vulnerability of any WedBrilliant or third party system or network; (ii) alter information on or obtained from the Service; (iii) use any robot, spider, scraper or other automated means or interface not provided by WedBrilliant to access the Service or to extract data from the Service; (iv) run Maillist, Listserv, or any form of auto-responder or “spam” on the Service or otherwise use the Service for purposes of “spamming” other Users; (v) reverse engineer any aspect of the Service, do anything that might discover source code, or bypass or circumvent measures employed to prevent or limit access to any area, content or code of the Service; (vi) modify, translate, or otherwise create derivative works of any part of the Service; (vii) copy, rent, lease, distribute, or otherwise transfer any of the rights granted to you hereunder; (viii) send to or otherwise impact WedBrilliant or the Service (or anything or anyone else) with harmful, illegal, deceptive or disruptive code such as a virus, “spyware”, “adware” or other code that could adversely impact the Service or any recipient; (ix) access or use the Service for any unlawful, unintended (by us), or harmful purpose, or other than in full compliance with applicable law and these Terms; (x) take any action which might impose a significant burden (as determined by WedBrilliant) on the Service infrastructure; (xi) interfere with the ordinary operation or mission of the Service; (xii) infringe or misappropriate any patent, trademark, trade secret, copyright, right of publicity or other intellectual property right or other proprietary right; (xiii) impersonate any person or entity; (xiv) upload, use or transmit through the Service any User Content that, in WedBrilliant’s sole discretion: (w) consists of, in whole or in part, gore or extremely violent content, advertising, solicitations, hate speech (i.e., demeaning of race, gender, age, religious or sexual orientation, etc. ), sexually explicit or pornographic content, or fraudulent, false, misleading or deceptive content; (x) is threatening, harassing, defamatory, or that otherwise encourages illegality; (y) seeks to harm or exploit children by exposing them to inappropriate content, including without limitation, by asking for their personal information or otherwise; or (z) creates a risk of harm, loss, physical or mental injury, emotional distress, death, disability, disfigurement, or physical or mental illness to yourself, to any other person, or to any animal; (xv) abuse or misuse a third party or other User’s personal information; or (xvi) “frame” the Service or otherwise make it look like you have a relationship with WedBrilliant or that WedBrilliant has endorsed you for any purpose. We reserve the right to terminate in appropriate circumstances any account or right of access for unauthorized or unlawful use of the Service in violation of these Terms. We further reserve the right, for any reason or no reason, to remove or delete any User Content, Bid Requests, Bid Responses or Reviews, as we deem fit in our sole discretion. We ask that you report prohibited conduct of which you become aware by email to: info(at)wedbrilliant(dot)com. Accuracy of Your Information. You agree to provide only accurate, current and complete information on the Service, whether in the course of registering to use the Service or otherwise using the Service. This includes not impersonating any third parties in the course of using the Service. You also agree to review and correct all information that is supplied about you (such as when the Service “pre-populates” information you would otherwise have to enter) or that the Service draws from to ensure that it is always accurate and current. We reserve the right to purge or delete information stored by you in our discretion. NO WARRANTIES REGARDING THE SERVICE. YOU AGREE THAT THE SERVICE AND ALL WEDBRILLIANT CONTENT IS PROVIDED BY US OR ANY OF OUR EXISTING OR FUTURE VENDORS, AFFILIATES OR AGENTS “AS IS” AND “WITH ALL FAULTS,” AND THE ENTIRE RISK AS TO THE SATISFACTORY QUALITY, PERFORMANCE, ACCURACY AND EFFORT IS WITH YOU. WEDBRILLIANT DOES NOT MAKE ANY REPRESENTATIONS OR WARRANTIES AND DISCLAIMS ALL SUCH REPRESENTATIONS, WARRANTIES, CONDITIONS AND DUTIES, EXPRESS, IMPLIED OR STATUTORY, INCLUDING BUT NOT LIMITED TO, ANY IMPLIED WARRANTIES OF MERCHANTABILITY, FITNESS FOR A PARTICULAR PURPOSE OR USE, RESULTS, ACCURACY, COMPLETENESS, PRIVACY OR SECURITY AND ANY IMPLIED WARRANTIES CREATED BY TRADE USAGE, COURSE OF DEALING OR COURSE OF PERFORMANCE. WE FURTHER DISCLAIM ALL DUTIES TO YOU, IF ANY SUCH DUTIES EXIST, INCLUDING BUT NOT LIMITED TO REASONABLE CARE, WORKMANLIKE EFFORT, AND LACK OF NEGLIGENCE. IF A DUTY CANNOT BE DISCLAIMED, YOU AGREE THAT THE STANDARD USED TO MEASURE WEDBRILLIANT’S PERFORMANCE OF THAT DUTY WILL BE INTENTIONAL MISCONDUCT. ALSO, THERE IS NO WARRANTY OF TITLE OR AGAINST INTERFERENCE WITH YOUR ENJOYMENT OF ANY ASPECT OF THE SERVICE OR AGAINST INFRINGEMENT. YOU EXPRESSLY WAIVE ALL DUTIES, CONDITIONS AND ALL WARRANTIES THAT MIGHT EXIST BUT FOR THIS SECTION. YOU ACKNOWLEDGE THAT WEDBRILLIANT HAS NO CONTROL OVER WHO USES THE SERVICE AND DOES NOT GUARANTEE THE QUALITY, SAFETY OR LEGALITY, APPROPRIATENESS, OR THE TRUTH OR ACCURACY OF ANY USER CONTENT. ALL RISK IN CONNECTION WITH THE USE OF THE SERVICE IS WITH YOU. ELECTRONICS COMMUNICATIONS PRIVACY ACT NOTICE (18 U.S.C. § 2701-2711): WEDBRILLIANT MAKES NO GUARANTY OF CONFIDENTIALITY OR PRIVACY OF ANY COMMUNICATION OR INFORMATION TRANSMITTED ON THE SERVICE OR ANY THIRD PARTY WEBSITE LINKED TO THE SERVICE. WEDBRILLIANT WILL NOT BE LIABLE FOR THE PRIVACY OF EMAIL ADDRESSES, REGISTRATION AND IDENTIFICATION INFORMATION, DISK SPACE, COMMUNICATIONS, CONFIDENTIAL OR TRADE SECRET INFORMATION, OR ANY USER CONTENT STORED ON WEDBRILLIANT’S EQUIPMENT, TRANSMITTED OVER NETWORKS ACCESSED BY THE SERVICE, OR OTHERWISE CONNECTED WITH YOUR USE OF THE SERVICE. LIMITATION OF LIABILITY. TO THE FULL EXTENT ALLOWED BY LAW, YOU AGREE THAT NEITHER WEDBRILLIANT NOR ANY OF ITS EXISTING OR FUTURE AFFILIATES, SUPPLIERS OR AGENTS WILL BE LIABLE TO YOU AND/OR ANY OTHER PERSON FOR ANY SPECIAL, INCIDENTAL, PUNITIVE, CONSEQUENTIAL OR OTHER SIMILAR DAMAGES, OR FOR DAMAGES FOR LOST PROFITS, FOR LOSS OR IMPAIRMENT OF PRIVACY, SECURITY OR DATA, FOR FAILURE TO MEET ANY DUTY (INCLUDING BUT NOT LIMITED TO ANY DUTY OF GOOD FAITH, WORKMANLIKE EFFORT OR OF LACK OF NEGLIGENCE), OR FOR ANY OTHER SIMILAR DAMAGES WHATSOEVER THAT ARISE OUT OF OR ARE RELATED TO ANY BREACH OR OTHER ASPECT OF THESE TERMS OR THE SERVICE, EVEN IF WEDBRILLIANT HAS BEEN ADVISED OF THE POSSIBILITY OF SUCH DAMAGES AND EVEN IN THE EVENT OF FAULT, TORT (INCLUDING NEGLIGENCE) OR STRICT OR PRODUCT LIABILITY OR MISREPRESENTATION. EXCLUSIVE REMEDY. IF FOR ANY REASON WEDBRILLIANT IS FOUND LIABLE HEREUNDER, WEDBRILLIANT’S TOTAL LIABILITY TO YOU OR TO ANY THIRD PARTY IS LIMITED TO THE GREATER OF: (I) THE FEES YOU HAVE PAID TO WEDBRILLIANT IF ANY, IN THE TWELVE (12) MONTHS PRIOR TO THE ACTION GIVING RISE TO LIABILITY; OR (II) $100 USD. YOU AGREE THAT ANY CLAIM YOU MAY HAVE ARISING OUT OF OR RELATED TO YOUR RELATIONSHIP WITH WEDBRILLIANT MUST BE FILED WITHIN ONE (1) YEAR AFTER SUCH CLAIM AROSE; OTHERWISE, YOUR CLAIM IS PERMANENTLY BARRED. THE DAMAGE EXCLUSIONS AND LIMITATION OF LIABILITY IN THESE TERMS SHALL APPLY EVEN IF ANY REMEDY FAILS OF ITS ESSENTIAL PURPOSE. Termination or Cancellation. As noted above, these Terms are a legally binding agreement between you and WedBrilliant with respect to your use of the Service. Either we or you may terminate this agreement with or without cause or prior notice. You will still be liable for payment of any amounts due or other obligations incurred prior to termination, and if you use the Service after such termination, that use will constitute your new agreement to these Terms. If applicable law requires that we provide notice of termination or cancellation, we may give prior or subsequent notice by posting it on the Service or by sending a communication to any address (email or otherwise) that we have for you in our records. WedBrilliant’s rights under these Terms that by their terms, nature, sense or context are intended to survive the termination of these Terms shall survive such termination. Without terminating your right to use the Service pursuant to these Terms, we may suspend or block your access to the Service whenever it appears to us that you might be breaching these Terms or otherwise about to cause harm or damage to us or others. Applicable Law and Exclusive Forum. The Service is controlled by us from our offices within the United States of America and is intended for U.S. users only. If you choose to access this Service from locations outside the U.S., you do so at your own risk and are responsible for compliance with applicable local laws. You may not use or export anything from the Service in violation of U.S. export laws and regulations or these Terms. You agree that these Terms, and all claims of every nature (including without limitation, contract, tort and strict liability) relating to any aspect of the Service, shall be governed by the laws of the State of Oregon, U.S.A., without regard to its conflicts of laws provisions and without regard to where performance is made. You agree that any disputes shall be heard exclusively in an appropriate forum located in Multnomah County, Oregon. THESE TERMS WILL SPECIFICALLY NOT BE GOVERNED BY THE UNITED NATIONS CONVENTIONS ON CONTRACTS FOR THE INTERNATIONAL SALE OF GOODS. You also consent to jurisdiction in a state or federal court sitting in Multnomah County, Oregon and waive any claim or defense that such forum is not convenient or proper, and consent to service of process by any means authorized by Oregon or U.S. federal law. Indemnity. You agree to indemnify, defend and hold the WedBrilliant Parties harmless for, from and against any and all losses, liabilities, expenses, damages, fees, penalties, claims or demands (actual or alleged), including reasonable attorneys’ fees, arising out of or related to your breach of these Terms, your violation or infringement of any law or the rights of any third party, including any third party intellectual property rights of publicity, or the use of your User account by a third party. WedBrilliant reserves the right to assume the exclusive defense and control of any matter otherwise subject to indemnification by you, and you agree to reasonably assist and cooperate with WedBrilliant in the defense thereof. Notices, Including Our Address for Legal Notices. (a) We may give you notice by any lawful method, including (without limitation) legal notices and notices of subpoenas. We may provide the notices by posting them on the Service or by giving them by email or postal mail to any address that we have for you. You agree to update your address as appropriate and to check for notices posted on the Service. (b) You agree to send us notice by mailing it to “Our Address for Legal Notices” which is WedBrilliant, LLC, Attn: Legal Notices, P.O. Box 91341, Portland, OR 97291, or by emailing it to us at info(at)wedbrilliant(dot)com. Amendments. You agree that we may amend these Terms from time to time, including by changing anything in these Terms (“Amendments”). With respect to the text of these Terms, we will post a new version of the Terms on the Service prior to the effective date of the amended version (“Effective Date”) – we will try to do that ten (10) days before a new version becomes effective, but we reserve the right to provide lesser or subsequent notice as we think advisable (such as in an emergency or to prevent harm to us or others). We may also give notice by another method, including by email. You agree periodically to check for notice of an amended version and to review that version. The Effective Date of each version will usually be shown at the beginning of the Terms document: if you see a date that is later than the date you last reviewed the Terms, review the most recent version because it will apply as of its Effective Date and until the next version is posted (and the ten (10) day period referenced above, if applicable, has passed). No Amendments will be effective unless we post them on the Service. You agree that USING THE SERVICE AFTER THE EFFECTIVE DATE OF THE AMENDED VERSION OF THESE TERMS WILL CONSTITUTE YOUR AGREEMENT TO THE AMENDED VERSION. Notwithstanding the foregoing, you agree that without amending these Terms pursuant to this Section, we may change other Service information (other than the text of these Terms) in our sole discretion. Agreement; Miscellaneous. These Terms, which incorporate by reference any: (i) additional terms on the Service or otherwise provided by us for particular activities; and (ii) disclosures provided by us and consents provided by you on the Service, constitute the entire agreement between us and neither party has relied on any representations made by the other that are not expressly set forth in the Terms. If any part of these Terms is found by a court of competent jurisdiction to be invalid, then that part will be deemed superseded by an enforceable provision that most closely matches the intent of the original and honors the allocation of risks in these Terms and the remainder of the Terms will continue in effect. Our failure to act with respect to a breach does not waive our right to act as to subsequent or similar breaches, and time is of the essence in connection with your performance under these Terms. There are no third party beneficiaries of any part of these Terms. These Terms are personal to you, and are not assignable, transferable, or sublicensable by you except with WedBrilliant’s prior written consent, which WedBrilliant may withhold for any reason or no reason. No agency, partnership, joint venture, or employment relationship is created as a result of these Terms and neither party has any authority of any kind to bind the other in any respect. In any action or proceeding to enforce rights under these Terms, the prevailing party will be entitled to recover its reasonable costs and attorneys’ fees. Class Action Waiver. Each party expressly waives their right to file a class action or seek relief on a class basis. YOU AND WEDBRILLIANT AGREE THAT EACH PARTY MAY BRING CLAIMS AGAINST THE OTHER ONLY IN YOUR OR ITS INDIVIDUAL CAPACITY, AND NOT AS A PLAINTIFF OR CLASS MEMBER IN ANY PURPORTED CLASS OR REPRESENTATIVE PROCEEDING. Legal Notices. Various laws require or allow us to give users of the Service certain notices and each of them is incorporated into these Terms. Further Information. If you would like to receive our legal name and address by email, you need to provide us your email address by sending your request, in writing, to Our Address for Legal Notices. If you have a complaint, you may contact us at the address(es) set forth in Section 21. Notice of Copyright Agent. WedBrilliant respects the intellectual property rights of others and requests that you do the same. Anyone who believes that their work has been reproduced in the Service in a way constituting copyright infringement may provide a notice to the designated Copyright Agent for the Service containing the following: (i) an electronic or physical signature of a person authorized to act on behalf of the owner of the copyright interest; (ii) identification of the copyrighted work claimed to have been infringed; (iii) identification of the material that is claimed to be infringing and information reasonably sufficient to permit us to locate the material; (iv) the address, telephone number, and, if available, an email address at which the complaining party may be contacted; (v) a representation that the complaining party has a good faith belief that use of the material in the manner complained of is not authorized by the copyright owner, its agent, or the law; and (vi) a representation that the information in the notice is accurate, and under penalty of perjury, that the complaining party is authorized to act on behalf of the owner of an exclusive right that is allegedly infringed. by mail: WedBrilliant, LLC, Attn: Copyright Agent, P.O. Box 91341, Portland, OR 97291. Notice: No Harvesting Allowed. WE WILL NOT GIVE, SELL, OR OTHERWISE TRANSFER ADDRESSES MAINTAINED BY US TO ANY OTHER PARTY FOR THE PURPOSES OF INITIATING, OR ENABLING OTHERS TO INITIATE, ELECTRONIC MAIL MESSAGES EXCEPT AS AUTHORIZED AS APPROPRIATE BY OUR PERSONNEL OR POLICIES. EXCEPT FOR PARTIES AUTHORIZED TO HAVE ADDRESSES MAINTAINED BY US, PERSONS MAY VIOLATE FEDERAL LAW IF THEY: (I) INITIATE THE TRANSMISSION TO OUR COMPUTERS OR DEVICES OF A COMMERCIAL ELECTRONIC MAIL MESSAGE (AS DEFINED IN THE U.S. “CAN-SPAM ACT OF 2003”) THAT DOES NOT MEET THE MESSAGE TRANSMISSION REQUIREMENTS OF THAT ACT; OR (II) ASSIST IN THE ORIGINATION OF SUCH MESSAGES THROUGH THE PROVISION OF SELECTION OF ADDRESSES TO WHICH THE MESSAGES WILL BE TRANSMITTED. Notice About Trademarks. WEDBRILLIANT™ and associated logos are trademarks of WedBrilliant, LLC. All other trademarks and logos on the Service are the property of their respective owners. All rights are reserved.